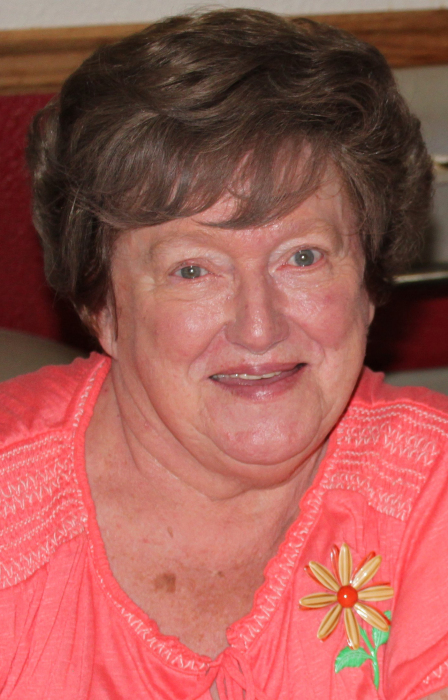 Janet V. Meyer Brandt (nee Butzlaff), age 78 years, of Mayville was called home to be with the Lord on February 2, 2019 at Froedtert Health St. Joseph’s Hospital in West Bend. Janet was born on May 20, 1940 in Kewaskum to Ervin Sr. and Louise Butzlaff (nee Herman). On February 13, 1957, she was united in marriage to William F. Meyer in Honolulu, Hawaii. William was Janet’s first love and they had celebrated 55 years of marriage before William preceded Janet in death on March 16, 2012. Those Janet leaves behind to cherish her memory include her husband, George; her children, Debra (Michael) Lettow and Jeffrey Meyer; grandchildren, Christina (Paul) Kress, David (Heather) Lettow, Daniel (Nicole) Lettow and April (Adam) Jung; great-grandchildren, Tyler, Hadlee, Ellie, Kyle, Jacob, Holden, Jeremy, Hope, and Lindsey; and step great-grandchildren, Devin and Caylin Kress. She is further survived by her brothers, Ervin Butzlaff, Jr., William (Carol) Butzlaff, Sr., Leroy (JoAnn) Butzlaff; Godchildren, Bambi Butzlaff Voss, William Butzlaff, Jr. and Jennifer Scannell; many nieces and nephews, step children and step grandchildren, and other relatives and friends. Janet was also preceded in death by her loving parents, Ervin and Louise; sisters-in-law, June Butzlaff and Delores Kurth; and brother-in-law, Carl Meyer. Funeral Service for Janet will be held at 11 am on Saturday, February 9, 2019 at Peace United Church of Christ (343 First Street – Kewaskum, WI 53040) with Pastor Eric Kirkegaard officiating. Interment at Peace United Church of Christ Cemetery will follow the funeral service. Janet’s family will greet relatives and friends at Church on Saturday from 9 am until the time of service.